Impressive! 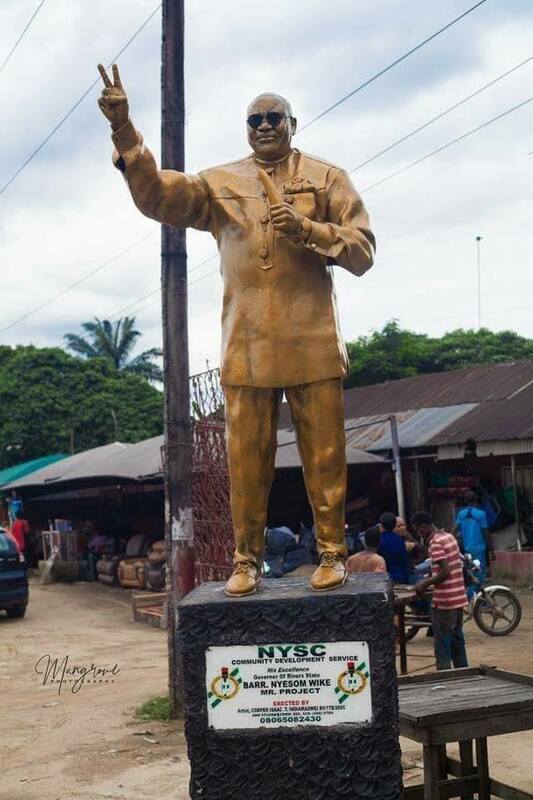 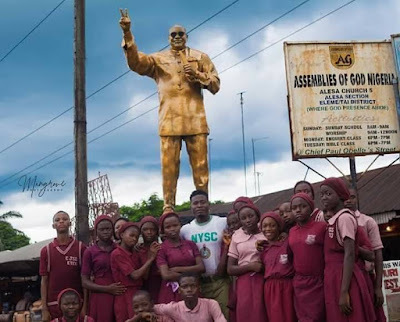 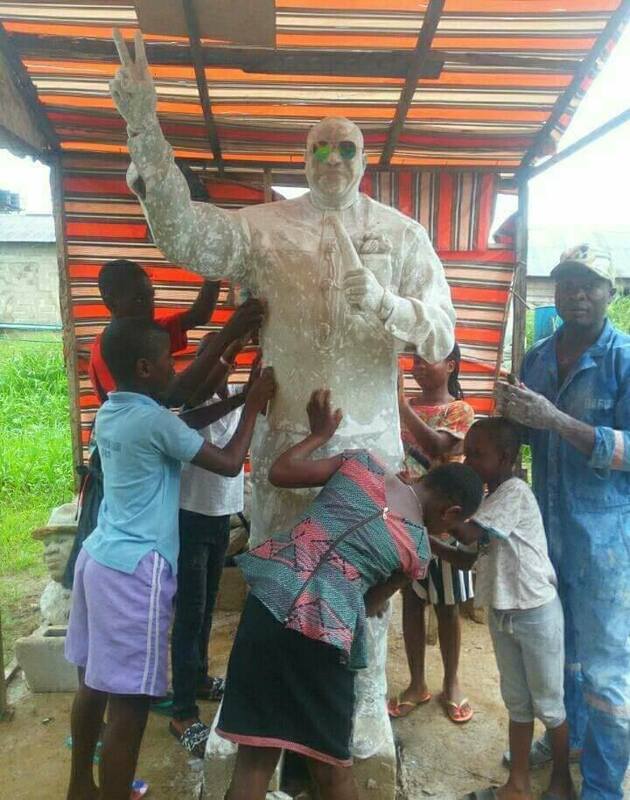 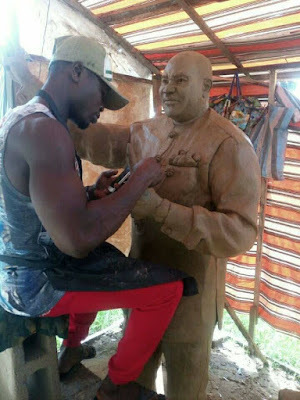 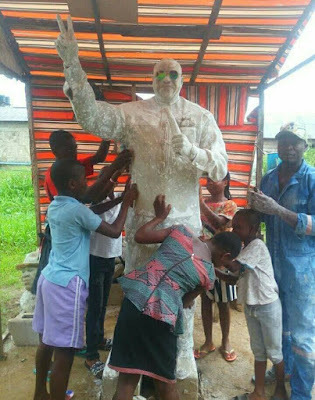 A graduate of Niger Delta University and a serving corp member has got the media buzzing and making himself trending online after erecting a sculptural piece of the governor of rivers state, Nyesom Wike, in Eleme local government area of rivers state. 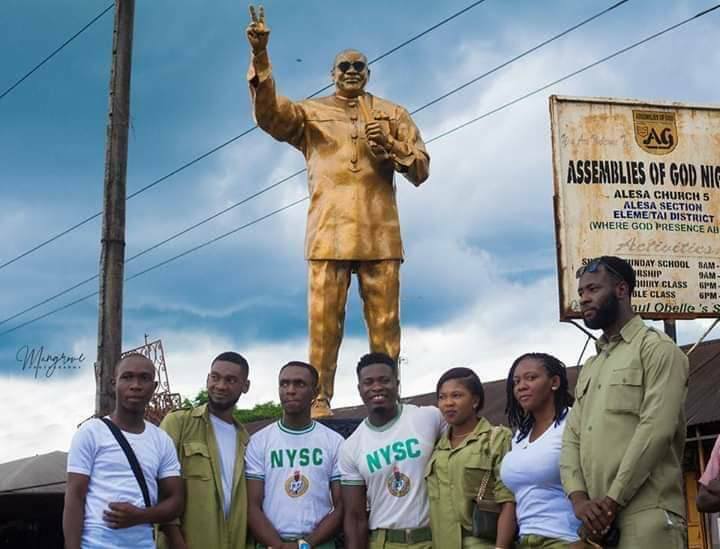 The coper is identified as Timinipre Isaac Indiamaowei, with State code number: RV/17B/2605, erected the sculptural piece with the help of other students as part of community development service (CDS).